Belmar Concert Series Jam out to pop, folk, indie, jazz, swing, rock music and more this summer at Belmar’s Music on the Plaza outdoor concert series. Throughout the summer, watch 13 live performances... It’s FREE - Bring your friends and sing and dance along! Please note that existing seating is available on a first-come, first-served basis. If you would like guaranteed seating, please bring your own chairs. Grandma's House and Eaton Senior Communities are partnering for the hippest happy hour ever. Do you miss your grandma or grandpa? Do you need a good hug? Are you look for some sage life advice? 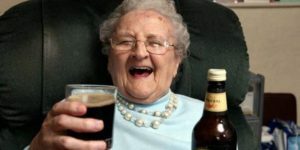 Come to Grandma's Happy Hour to get your awesome grandma-fix. Join some wonderful people for beers and board games while supporting a good cause. $1 from very pint sold will go to help support low-income seniors through the Eaton Senior Communities Foundation.